Comparisons can be fine tuned to add more flexibility to the process. 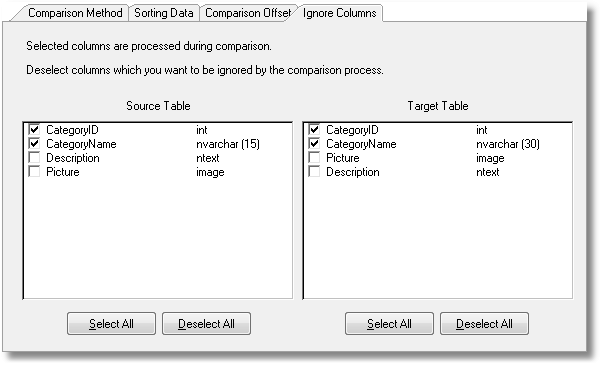 To exclude one or more columns from data comparison, select tab "Ignore Columns" on the comparison options screen and deselect the columns you want to be ignored. You can exclude columns from schema comparisons in a similar way.